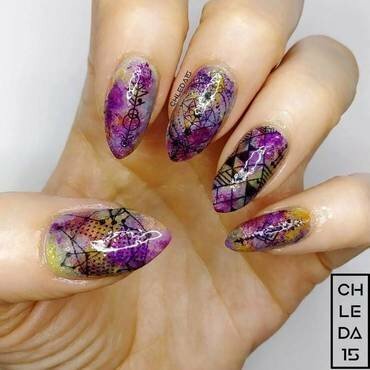 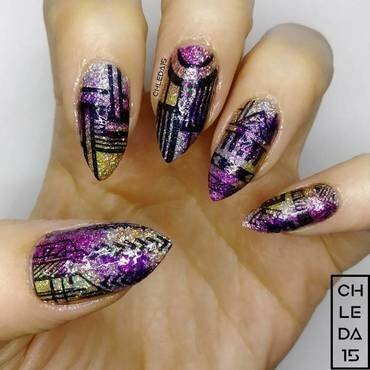 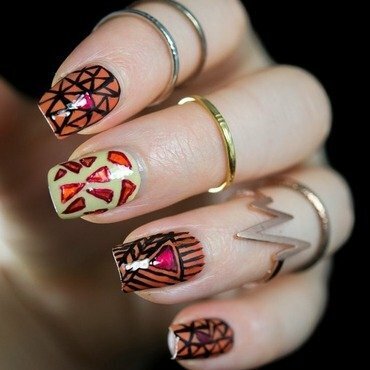 The inspiration started with the wrapping foil around a chocolate bar that ended up on my nails cut in triangles. 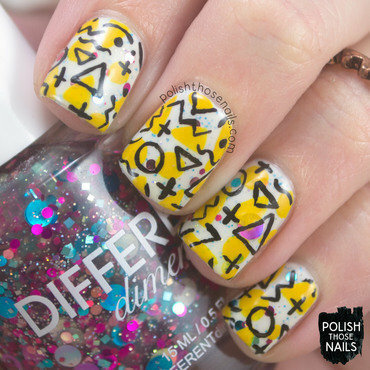 The finished look reminded my of giraffes and safari. 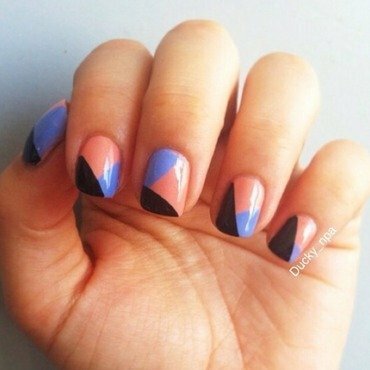 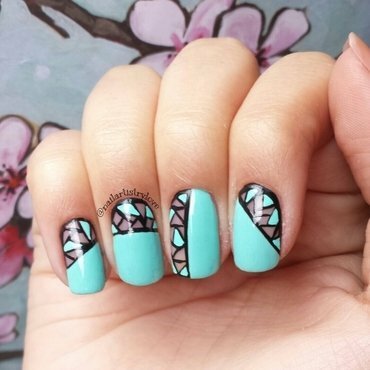 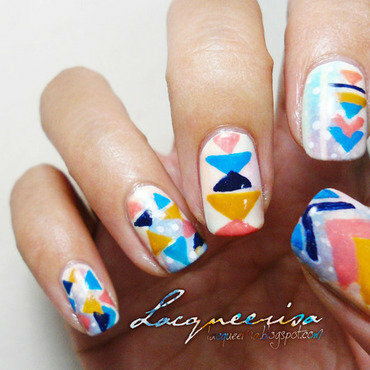 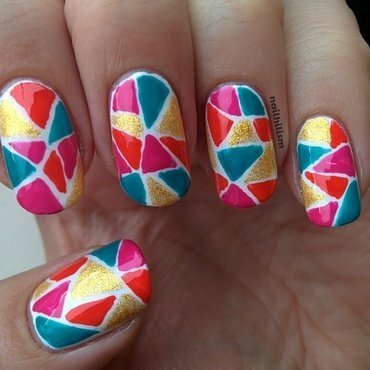 Nail art inspired by the patterns and colours from a shirt I own. 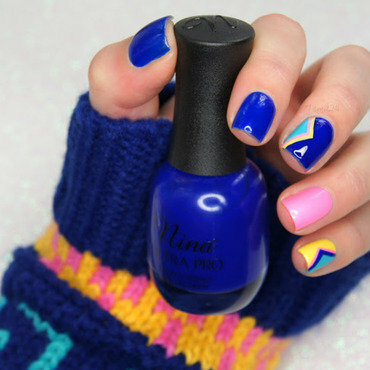 Tip Top Nail Chic In The Navy!